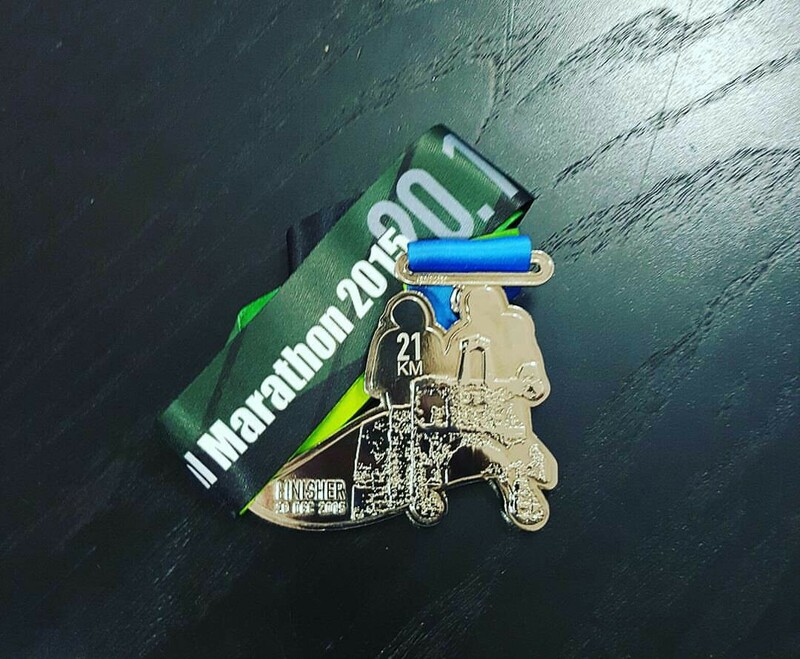 Race Review: Malacca River International Marathon 2015 (by Dropthepoptart) | JustRunLah! Malacca River International Marathon returns for it’s second edition this year, taking place on 20th December 2015. Event announcement was rather late and online registration (via LIV3LY.com) only 1 month prior to the event day. So I’d imagined it was rather rushed for everyone who had to make last minute travel arrangements (especially for international participants). Despite the late announcement and the fact that it takes place 2 weeks after running a full marathon at SCMS, I decided to give it a go anyway since I am unable to secure a spot in the upcoming Skyhawk Nature run (quick sold-out due to limited slots) taking place next January. Serious distance races in Malacca states are hard to come by. There’s plenty of direct long-distance coach that operates from Singapore to Malacca. Plus, with the ease of booking tickets online via websites like easybook.com – transportation ain’t a problem. I departed for Malacca on the morning of 19th December. The long journey was uneventful (although the jam at immigration point was enough to keep me cursing under my breathe). REPC was scheduled on the day before the race but it became a hassle when the REPC venue is situated out of Malacca city (around 5-6km out if town). Keeping to a strict budget I’ve decided that it was rather convenient to collect on the race day itself. It didn’t took me long to find the guesthouse where I’ve made reservations. Once settled, I headed out for dinner before turning in for the night. Woke up at 0330h only to be greeted with a thunderstorm. It lasted a while. I left slightly earlier as I wanted to avoid any complication while collecting my bib. Given the central location of the race site ( A’ Famosa Fortress ) and the proximity of the guesthouse, it took me less than 10 minutes to reach. 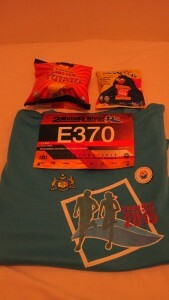 Race pack content was a slight disappointment: A pack of potato chips, a pack of instant noodle snack, race shirt and bib. I headed back to my accommodation to rest awhile more before heading back to race site again ( HM flag-off was at 0630). 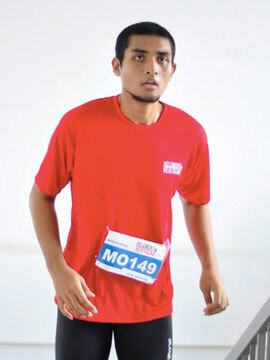 I saw a few Singaporean runner ( F1 runners notably). Turnout was rather small – barely 200 participants. Race director briefed us on safety issues and route changes and soon we were flagged off (15 minute earlier than stipulated time). The first few kilometres – just small roads and alley leading to main road (Jalan Chan Koon Cheng – Lorong Bukit Cina – Jalan Temenggong). 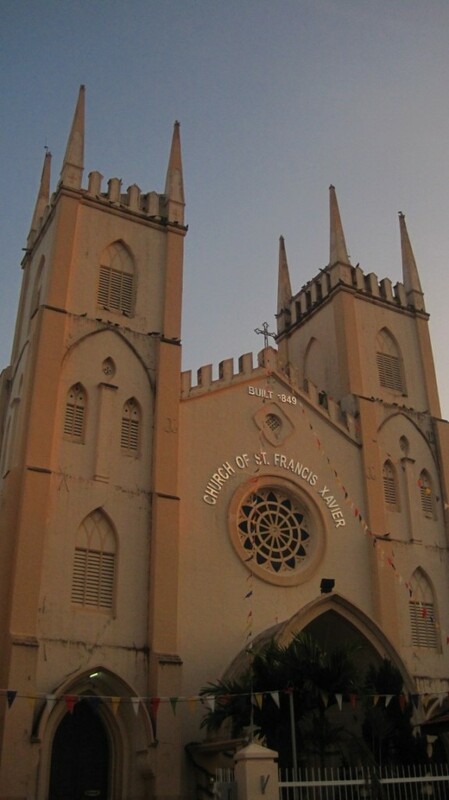 We past by the famous landmarks such as the famed Dutch Square, The Stadhuys and St. Francis Xavier church. We made a turn towards Jalan Hang Jebat (Jonker Walk) into Lorong Hang Jebat back into Jalan Kampung Hulu and the long stretch of Jalan Munshi Abdullah (past through a small cemetery). The low-key atmosphere made it felt more like an exploration race rather than a competitive one. The first water point came was at 5km. Cups of water were handed out smoothly (for the first time, no over-crowded either). We ran alongside the Malacca river around at around 6 – 7km point. It was rather relaxing. It became rather uneventful soon after as we passed by the vast almost-deserted Aeon Bandaraya Melaka Shopping centre. At this point, fatigue was catching up to me coupled with dehydration, I was more than determine to finish this race quick. Throughout, it was done at an easy pace with a bit of run-walk intervals in-between. The highlight of the route perhaps was at 16-17km point where we ran up the highway bridge (Jalan Syed Abdul Aziz) overlooking the river and the famous landmarks. I didn’t hang around much as the sun was exerting its scorching power. Rushed back to the guesthouse for a quick wash up and a little rest before heading out for lunch and museum-hopping. Malacca city is a walkable city thus I was able to visit the various places-of-interest without spending on public transportation. Furthermore, there were various budget-friendly guesthouses situated around the vicinity of Chinatown/Jonker Street (Jalan Hang Jebat). Melacca is really an ideal place to spend your weekend regardless the size of your budget. Small crowd turnout means overcrowding wasn’t an issue. It makes the atmosphere pleasant and less competitive. Volunteers at water point station were friendly and encouraging at times. Post-race entitlement collection was smooth. Free massage + ice treatment at the end. 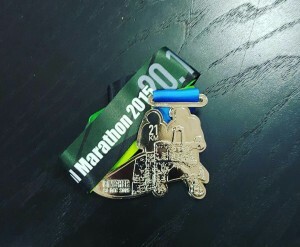 The medal design significantly improved from 1st edition which was a generic design with no finisher distance engraved. Road Marshals did their job well at coordinating ongoing traffic. REPC on race day for outstation runners. Safety is a nightmare especially along main roads. Although there were marshals to direct runners, there were insufficient cones placed to segregate runners from ongoing traffic in areas where no marshals were present. Distance markers were lacking and the signage was small that it was easy to miss out. REPC collection venue too far out from city. Late announcement + opening of race registration. Hydration point interval was placed too far apart (at every 5km). Late Flag-off time for FM and HM. Event FB page could have been better handled. Organizer took ages to reply and queries sometimes, remained unanswered. Throughout I really enjoyed the experience despite the obvious shortcomings. 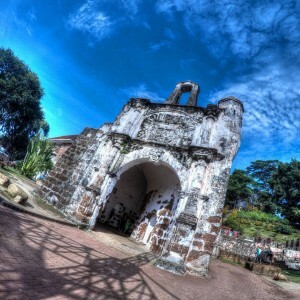 It is relatively a new event in hopes to promote tourism in Malacca city. There are rooms for improvement for future edition (safety in particular) although I do hope the organizers to limit the number of participants. Malacca is off my lists! As of 2015, I have ran 5 Malaysian states. Next up, will be in one of the northern states – Kedah – Alor Setar Half Marathon 2016.